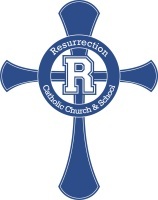 Thank you for your generous support of Resurrection Catholic Church & School! Please click here to manage your online giving account or register for upcoming parish events! If you have any questions, please contact Michelle Maskolunas at 863-646-3556.